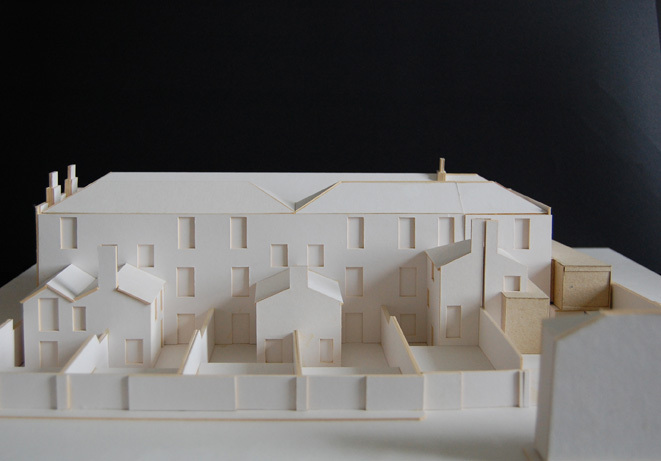 full planning permission granted August 2008. 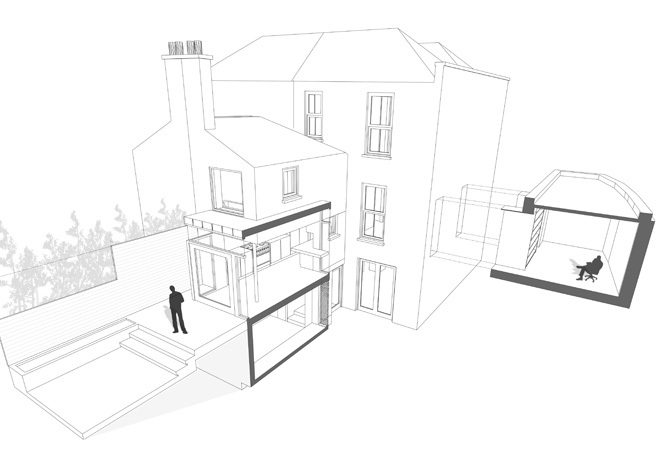 This project involved additions to the side and to the rear of a three storey end of terrace Georgian house which is a protected structure. The existing kitchen was located in the middle level of the return and was dark, undersized and had little or no relationship with the rear garden. 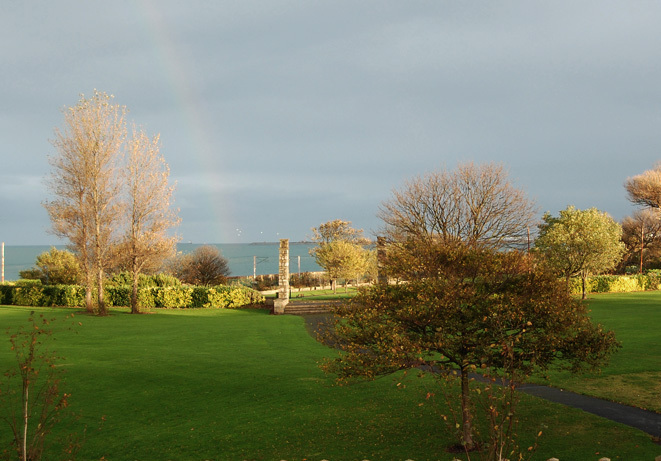 The solution was to create a projecting glazed corner bay window to allow additional space for dining and south west light. 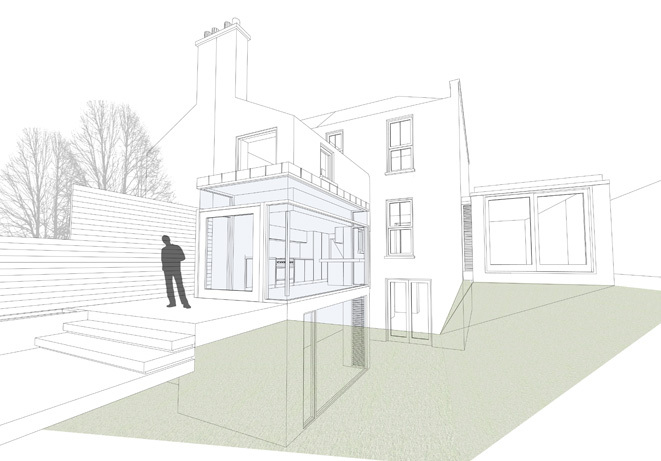 A large pivot door was proposed to allow access to an elevated patio at the same level. 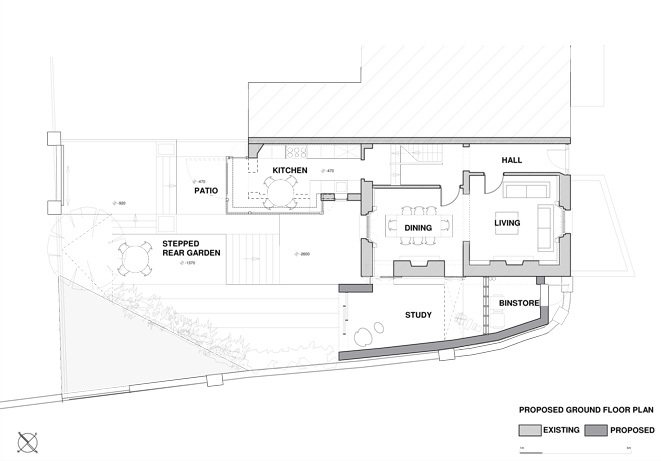 The roof over the projecting bay is higher than that of the existing kitchen (which had a mere 2m floor to ceiling height) and the bedroom below follows its increased footprint. 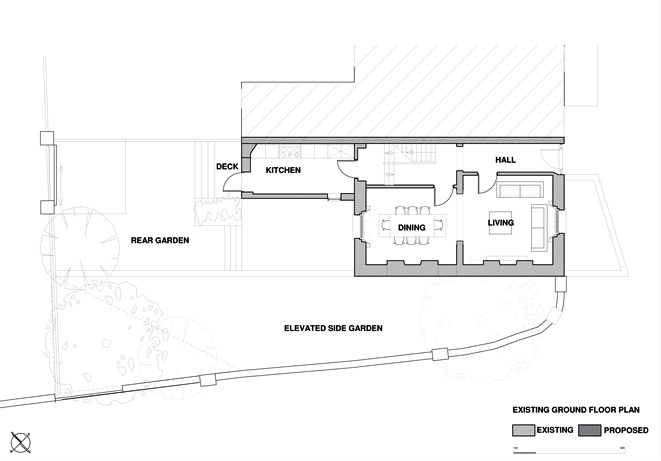 The side extension houses a bin/bike store to the front, accessed off street level and a study/library to the rear overlooking the garden. This timber framed/clad structure pulled back from the front façade of the terrace and projects beyond the rear façade. It is glazed to the rear and top lit over the desk area in the study. This new room connects back to the reception room in the main house via two timber lined opes to highlight the transition from old to new.